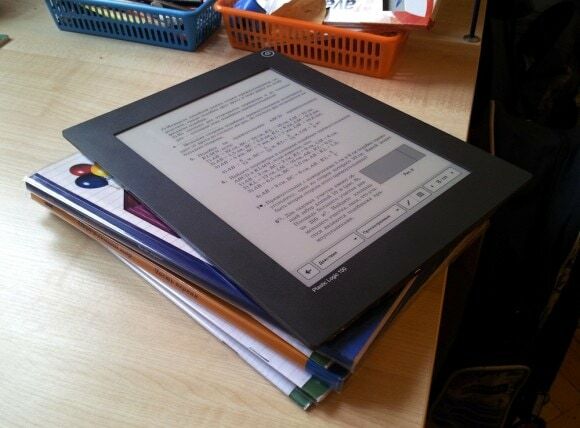 In appearance, it's a very basic ebook reader and PlasticLogic took the minimalist design as far as they could. But it also looks to have a pretty capable suite of software on it. The bloggers left a comment on one of my posts about PlasticLogic and corrected an error I made. I described the PL 100 as an $800 ereader, and I was right in so far as the retail price. I'm told that the Russian Ministry of Education will be buying them for 12,000 rubles, or around $400.